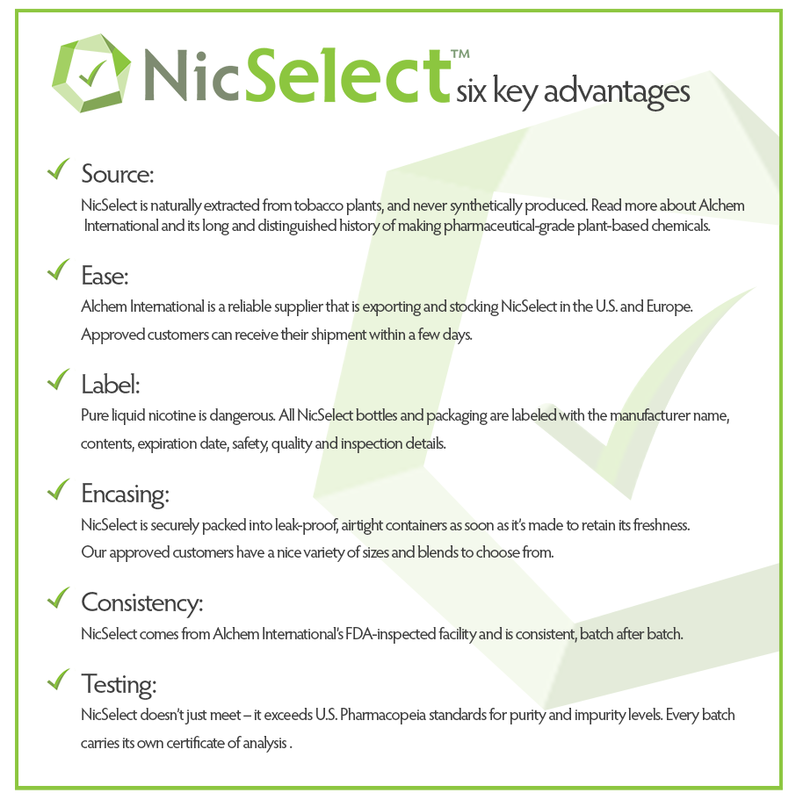 Alchem’s NicSelect™ is naturally derived from tobacco plants and manufactured at its WHO* GMP-licensed and FDA-inspected pharmaceutical production plant. 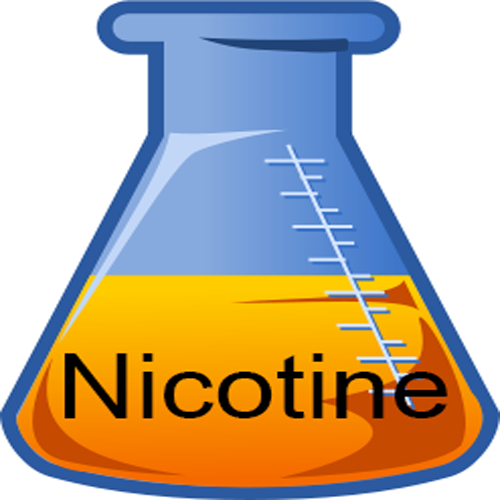 Stocked in both European and U.S. warehouses, NicSelect™ is the purest and most stable liquid nicotine on the market today. More and more, consumers are concerned about e-cigarette safety. And e-cigarettes are only as good as the quality of the ingredients inside them. 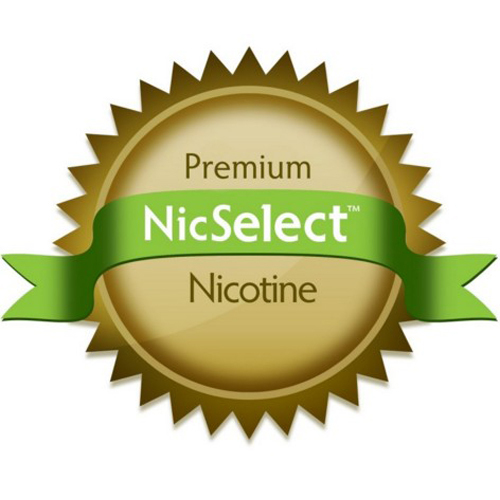 Join the nation’s best e-liquid manufacturers and use Vaping-Grade Nicotine from NicSelect™.